Microsoft Web Platform Installer is a simple installation guide used for creating a local web server with support for both databases (MySQL, Microsoft SQL Server) and PHP or ASP.NET. Although you might think that since it is a software developed by the Microsoft company, no open source applications or elements created for PHP can be used in it, it is not like that at all. 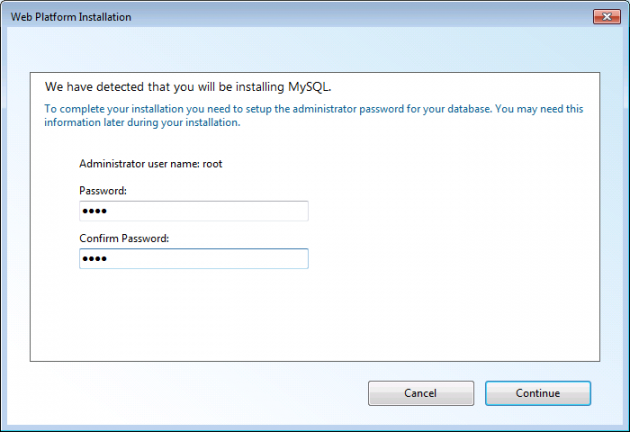 When using Web Platform Installer, you will not work only with the local web server itself with a database. In the wizard you can choose individual web applications and Web Platform Installer will modify the server according to their needs, install the necessary components, create the database records and also partially prepare installations of selected content management systems. Everything is almost foolproof. Unlike on the famous VertrigoServ, the local web applications run really very fast on this solution. Let us have a look at the creation of a local web server using Microsoft Web Platform Installer in practice. 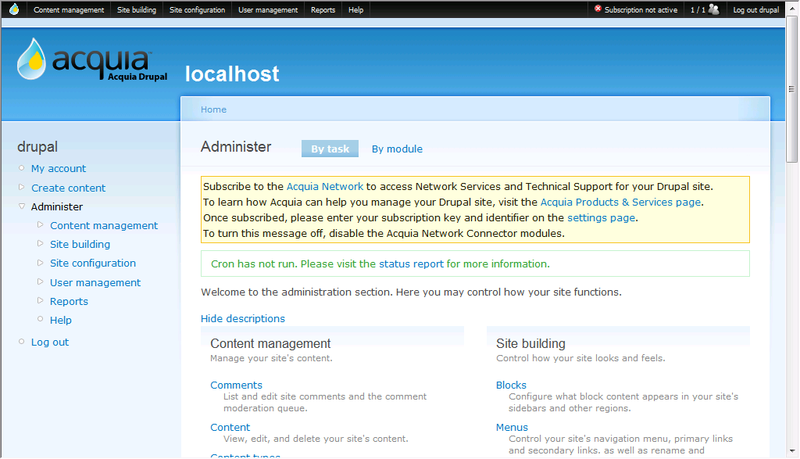 For an example I have decided to run a server for testing the Acquia Drupal content management system. However, it really does not matter since you can later add any of the dozens web applications that the system supports. Microsoft Web Platform Installer can be downloaded from www.microsoft.com/web. The installation guide is a small application, the individual components will later be downloaded from the Internet. The information concerning the elements forming the basic installation can be seen in the Web Platform tab. 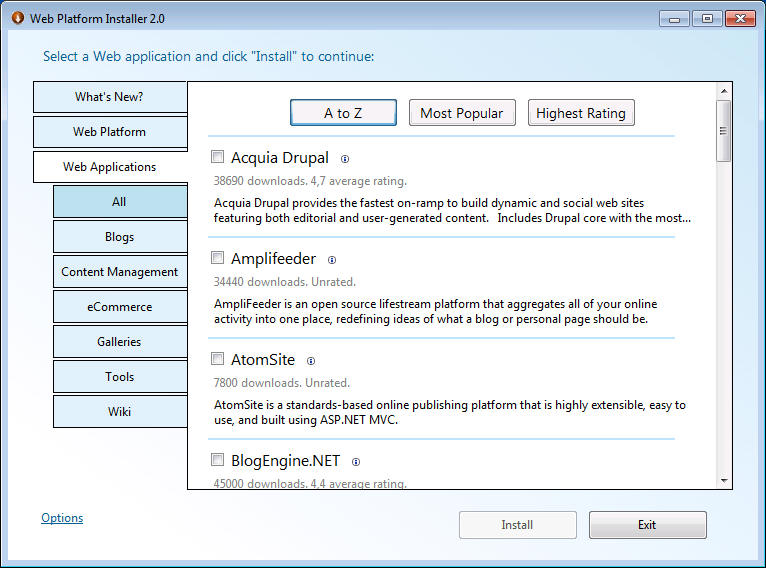 Then go to the Web Applications tab and choose the web applications that you wish to install to your local server. I have selected Acquia Drupal. After selecting the web application (applications), the summary of your choice will be displayed along with the necessary server components that will be automatically installed. 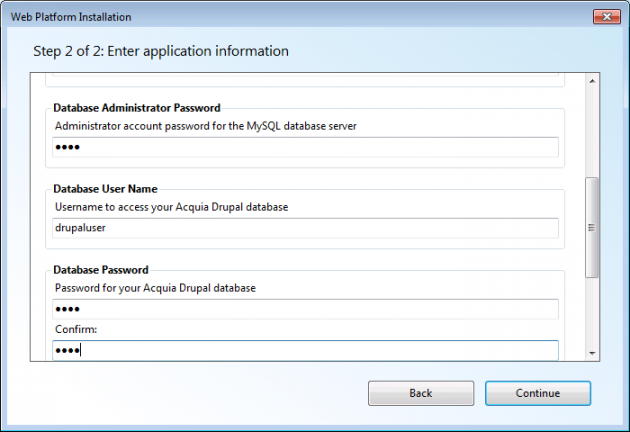 In case of a new installation of Drupal, it is of course the MySQL database support and the MySQL database server as such, PHP support and others. Run the installation by clicking the I Accept button. In the next phase of the wizard the local web server components will be downloaded and installed. The whole procedure is quite fast, of course depending on the speed of downloading the necessary files from the Internet. Anyhow, the installation itself is completed in a short while. After the server has been installed, you will be asked to enter some parameters for installing the application that you have selected. At first you must enter the name of the application that will be used for the URL address, where the application will be available on the local server. 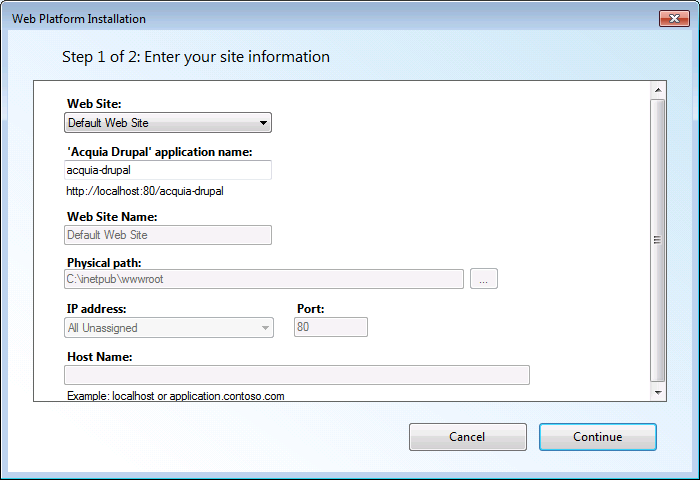 Other details necessary to install the web application, Drupal in our case, include the user name and password for database connection and possibly also further details. I remind you that unlike in VertrigoServ, you do not have to click anywhere and wonder how to create the database and set the user permissions. Web Platform Installer will do everything for you. The aforementioned step practically completes the installation of the server along with the web application. 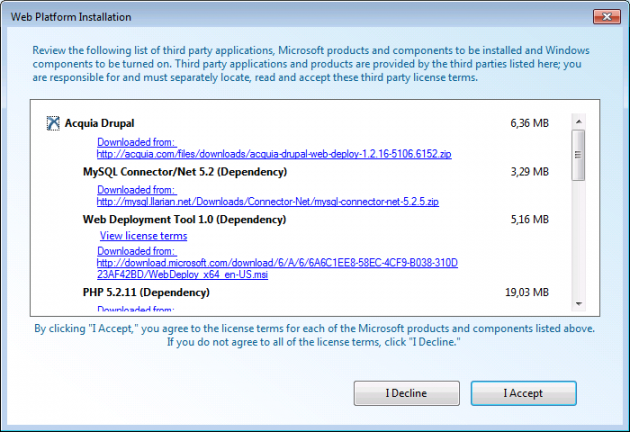 The wizard will display a summary installation report along with a link for running the web application in your browser. If you want to add other applications in the future (for example to try a web gallery or to see how your web application look and work in the ASP.NET environment), the only thing you need to do is to run the wizard again and to select the required applications. Since the server has already been installed, the whole installation will be much faster this time. 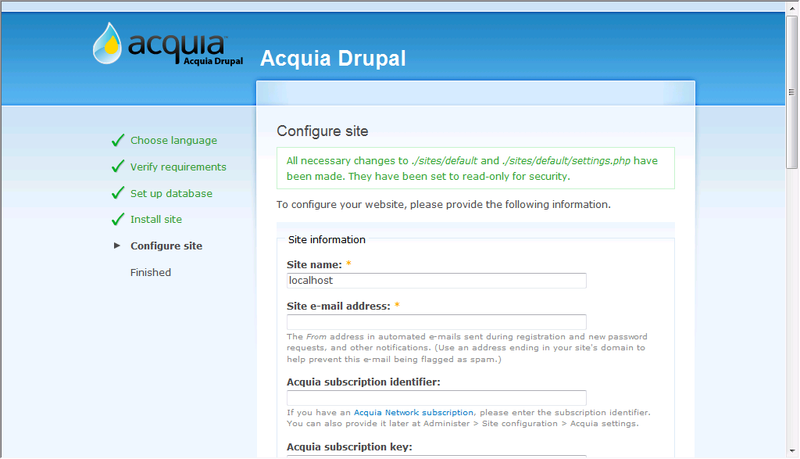 I will get back to Acquia Drupal for a moment. Notice that the first web page that opens after you install it using Web Platform Installer requires entering information concerning the server. Again, database settings and installation are automatic, which simplifies the matter some more. So after you fill in several details about the web, you have the complete installation of the selected web application at your disposal on the local server. 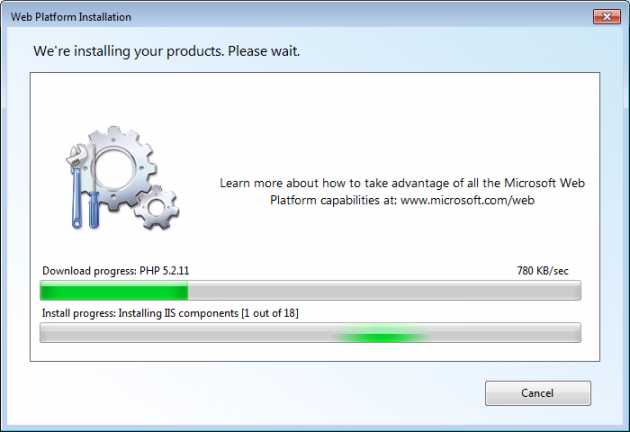 Microsoft Web Platform Installer is a great tool that does not require complicated settings and configures most of the necessary ones on its own. If you experience problems with VertrigoServ or other solution based on Apache + MySQL + PHP, try it. 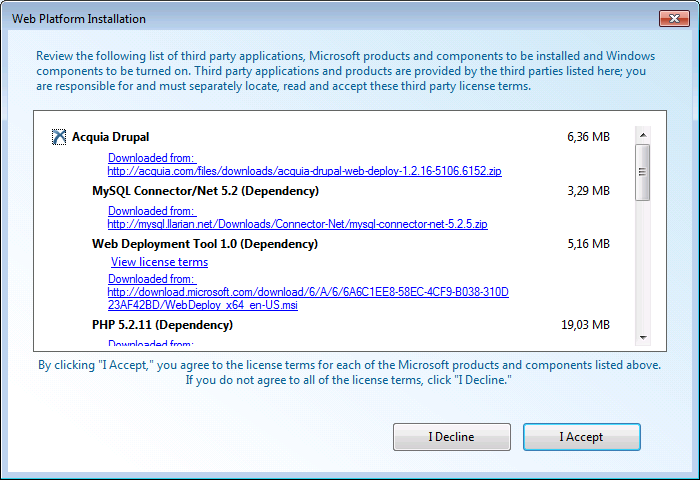 You should only know that Microsoft Web Platform Installer uses IIS instead of Apache as its web server - however, that should not pose a problem.